It snowed on May 15, the latest snow we can remember. It's crazy. 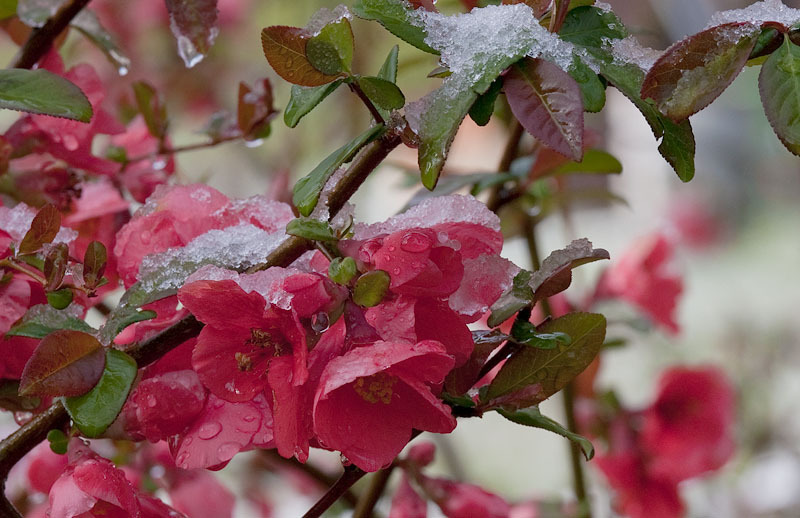 Here the waxy petals of the Flowering Quince, a horticultural shrub planted decades ago, take on the weight of the snow. Dutch Masters used flowers to convey the transience of human life, but here the snow shows the vulnerability of flowers.